We are very proud to provide inflatable rentals central NJ and look forward to making every event spectacular. 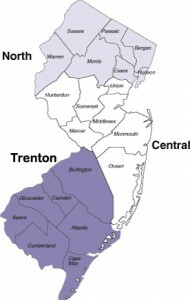 Not only is central NJ where our company is located, it has been our families home for decades! We have a true connection with the community we serve and believe that this personal touch separates us from the rest! We see all of our customers as neighbors and treat every one as such. We regularly serve all of central New Jersey including Middlesex County, Union County, Somerset County, Monmouth County, Mercer County and Ocean County. The best part of serving central NJ is the ability to provide free delivery to our customers. Whether you are having a small or large event, indoor or outdoor, we’re sure we’ll have just what you need. Our bounce house castle combo offers a dual slide, basketball hoop and spacious jumping area, while our smaller bounce house is great for limited space. An even more adventurous option is our inflatable obstacle courses that vary in size depending on your needs. The obstacle course is the perfect way to add a unique twist to a bounce party. They are also great for bringing fun to corporate and company events. Our inflatables are commercial grade and made in the USA. That is why they are great for adults and children alike. If you are looking for a great summer activity the inflatable waterslide is one of our most popular rentals! We also provide party packages that include tables, chairs and fun foods such as cotton candy and popcorn machines. 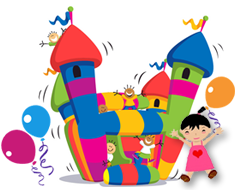 Our goal is to be remain the best inflatable rentals central NJ and our safe, fun and affordable party options are sure to please! We have partnered with Mosquito Shield to provide customers with the option of protecting their guests from pest. For just $149 (plus tax), your event will be mosquito free. Please contact 732-215-4737or info@moshieldecnj.com for more information. Sometimes your event requires an outdoor or indoor venue that allows for the rental of our inflatables. Here is a list that we continuously compile of venues that we have served. If you are interested in one of our top notch central NJ inflatable rentals please give us a call today! We look forward to helping you create your perfect event!